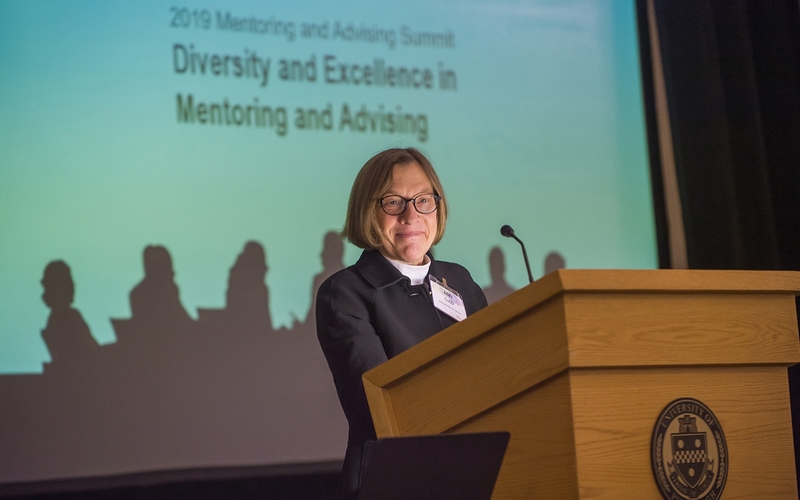 In a keynote at the University’s 2019 Mentoring and Advising Summit, which took place Thursday, March 7, Provost and Senior Vice Chancellor Ann E. Cudd recalled that while attending a rural high school, her career prospects seemed limited. She planned to study welding at a vocational institute, with the hope of becoming a sculptor of iron metalwork. But a mentor changed her mind. 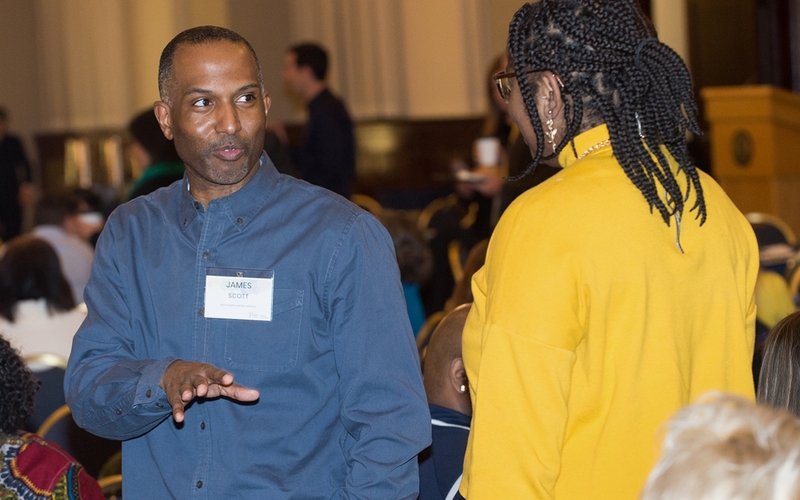 Nearly 230 attended the second annual event hosted by the Office of the Provost, which brought together from across the University faculty and staff that work with students in an advising or mentoring capacity. Some of those were administrators from divisions and offices including Student Affairs and the Office of International Services and faculty and professional advisors from schools and colleges including the Dietrich School of Arts and Sciences and the College of General Studies. 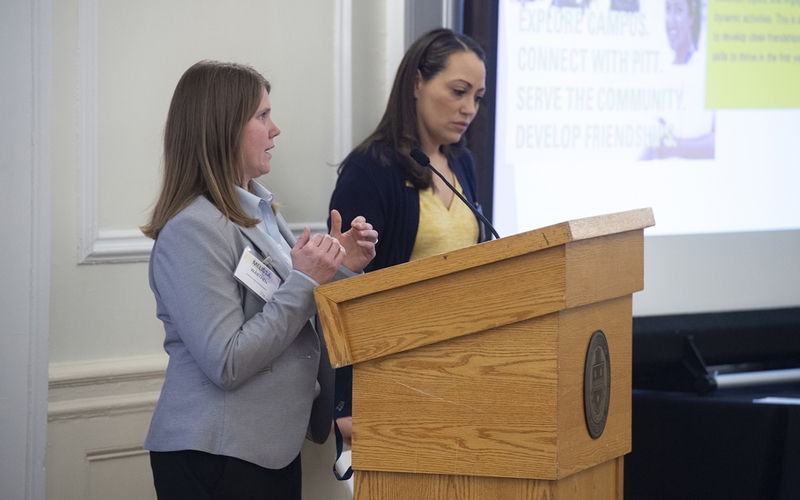 The event drew participation from Pitt’s regional campuses, too, as both presenters and attendees. Featuring three blocks of concurrent sessions, a mid-day interactive discussion panel and an afternoon presentation of posters, the conference provided an opportunity for attendees to learn about the mentoring and advising programming that others across the University are using and to spend time networking with each other. 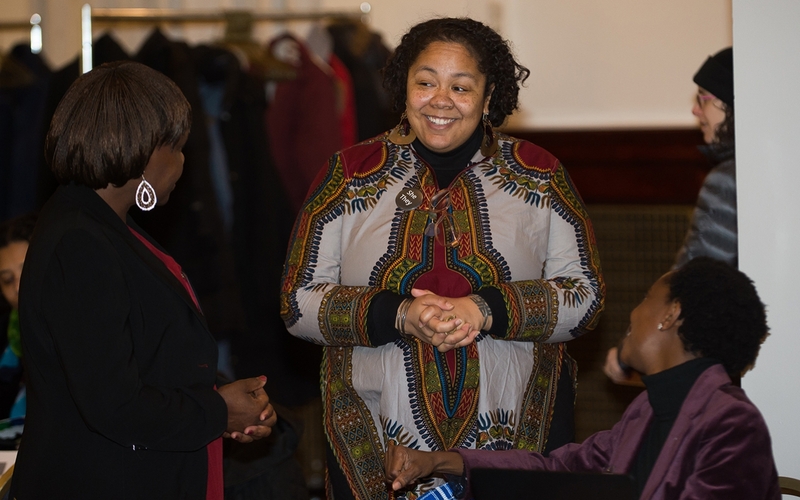 “We can reach out to people with questions or ideas and collaborate on student-related activities that can help advance our shared goals of helping our students navigate the University system and make appropriate decisions as they explore their academic, career and personal goals,” said Macrina Lelei, associate director of the African Studies Program at the University Center for International Studies. 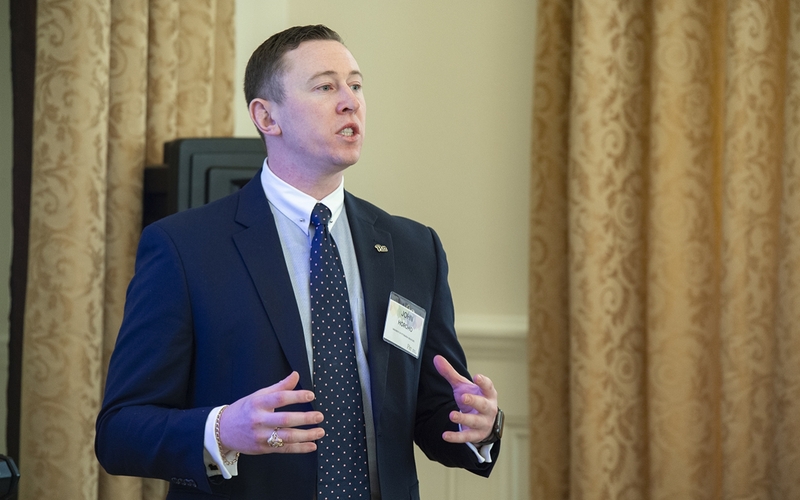 Following Cudd’s morning keynote, Stephen Wisniewski, vice provost for data and information and co-director of the Epidemiology Data Center, gave an overview on the implementation of Pathways, a platform that uses advanced analytics to drive personalized advising and academic support to students. Advisors can use Pathways to push to students communications about registering for classes, setting appointments for advising and a myriad of other features that meet students’ needs. 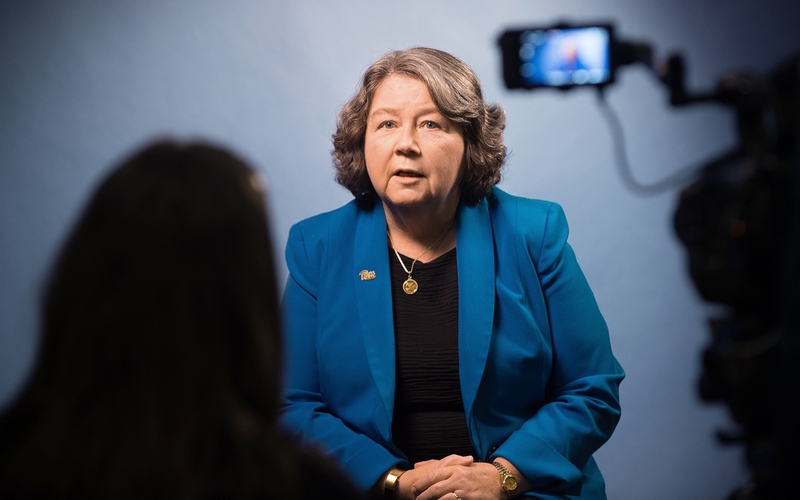 “What we’re going to do is combine this technology with what you [advisors and mentors] already do — best practices — and leverage these data to help improve our advising of students,” said Wisniewski. One of the tools within the Pathways platform that Wisniewski highlighted was the Advising Report. “This will allow us to have people put advising notes in a central resource so people in different academic units can see it,” he said. The provost’s office is currently working with the Pathways Steering Committee to coordinate tiered access levels and develop best practices about how best to use and share available data while protecting data privacy and ensuring compliance. 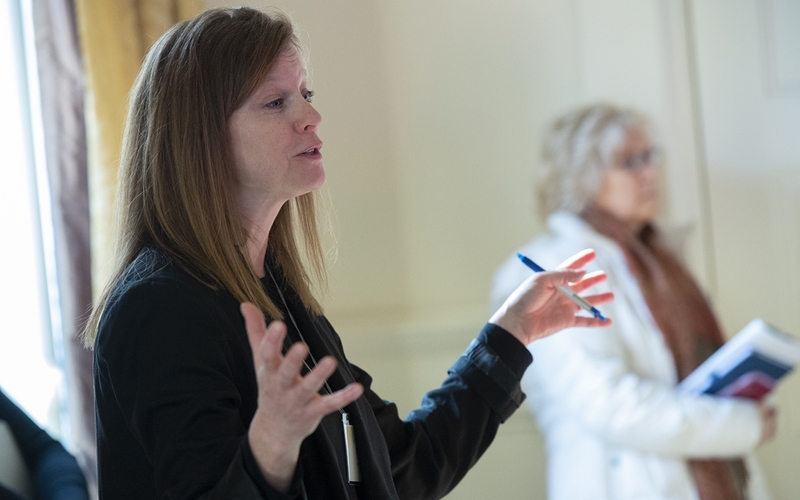 A wider rollout of the Pathways platform — which spent the 2018-19 academic year piloting with advisors of freshmen in the School of Nursing and the Swanson School of Engineering. Attendees were excited to hear the update on the platform and said that they look forward to implementing it in their departments and schools. “I do think that the technology they’re rolling out might help us do a better job and not miss things that could potentially be great opportunities for students,” said Jane Wallace, a lecturer, undergraduate advisor and co-director of undergraduate studies in the Department of Economics. Personalized advising: You can’t just Google that. 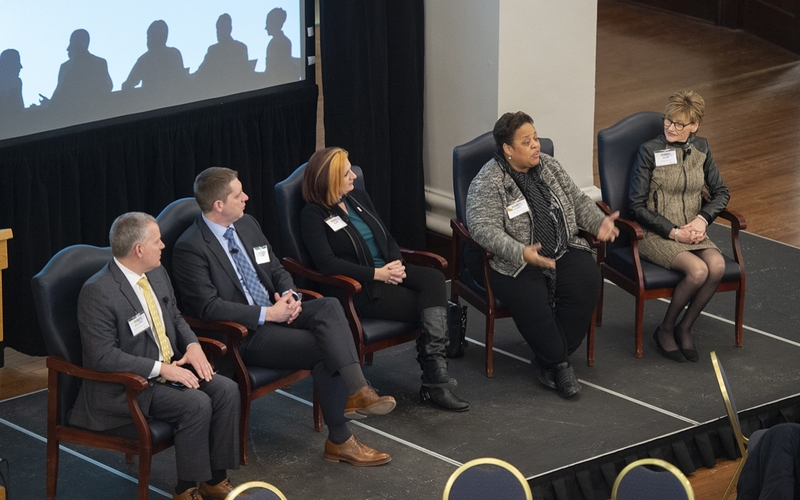 Diversity, inclusion, cultural empathy and global competence were themes of the summit’s plenary session, an interactive panel discussion, moderated by Joseph McCarthy, vice provost for undergraduate studies. Panelists included Derek Fischer, director of the Advising Center at the Dietrich School; Susan Meyer, director of the Interprofessional Center for Health Careers, co-director of the Center for Interprofessional Practice and Education and associate dean for education and professor in the School of Pharmacy; Audrey Murrell, associate dean of the College of Business Administration, director of the David Berg Center for Ethics and Leadership and associate professor of business administration, psychology and public and international affairs; and Belkys Torres, executive director for Global Engagement at the University Center for International Studies and co-chair of the Year of PittGlobal committee. Questions posed by McCarthy and from the audience prompted discussion about diversity — what it means, how to embrace it and why it’s so necessary. “For us at UCIS, we think about diversity of background, diversity of thought and the development of an inclusive environment,” Torres said, noting that UCIS provides the first point of contact to more than 3,000 international students who come to Pitt every year. “It’s got to be navigated by people who understand something about student load and drivers of success . . . our advisors interact with our recruiters, so we can tell you both from personal experience and from data what it takes to get you to that first destination,” she said. 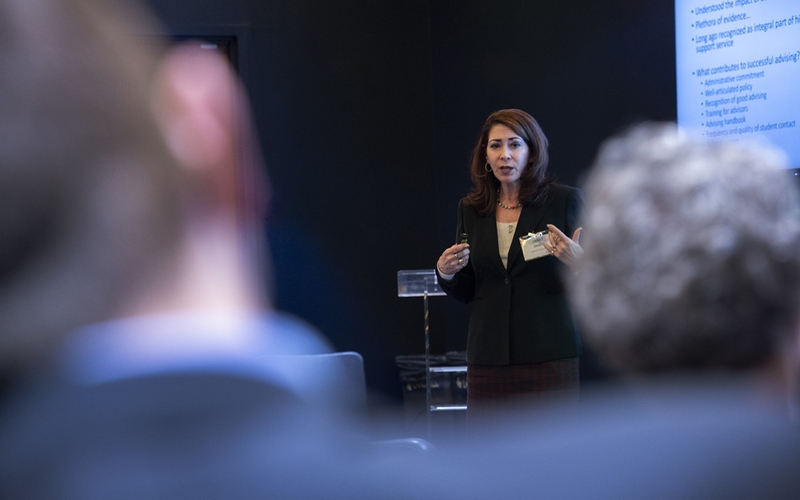 Julia Spears, associate vice provost for academic innovation, noted that this year’s summit was the first to feature members of the campus community presenting their work in concurrent sessions. 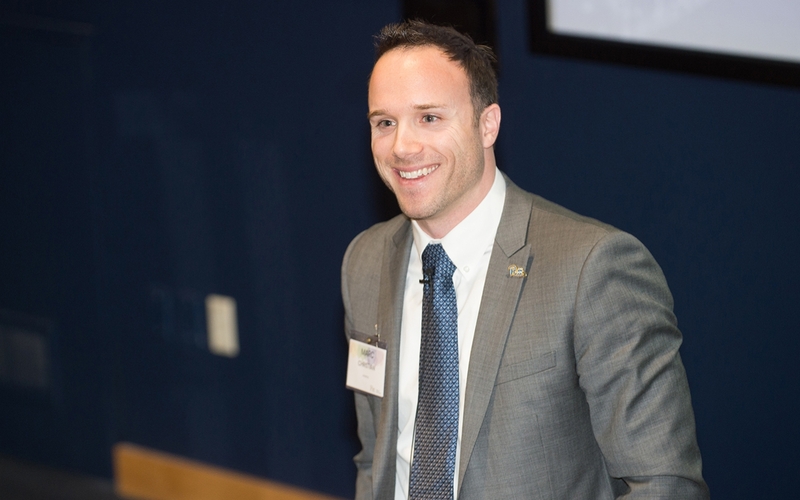 John Horoho, a senior at Pitt–Bradford, presented at an afternoon session along with Julia Spears and Susan Meyer. Their session focused on microaffirmations, which are small actions that signal to others that they are valued, included and welcomed.